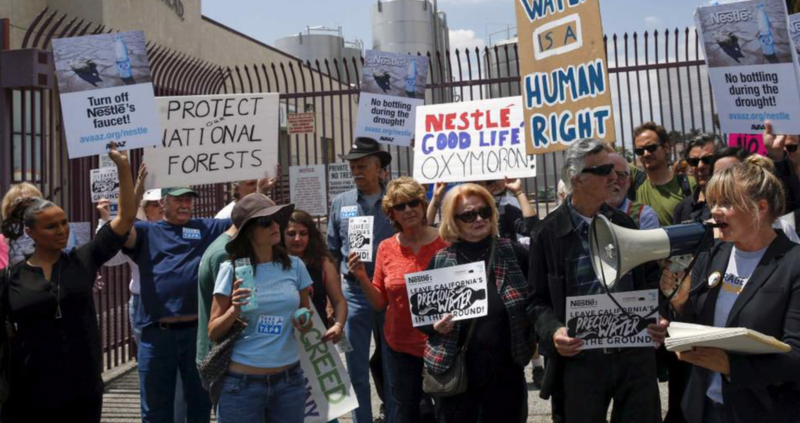 More recently, on April 2, 2018, the Michigan Department of Environmental Quality approved a widely-protested planthat would allow Nestlé to pump 250 gallons of water a minute from White Pine Springs. Although there is plenty of water in the Great Lakes area of Michigan (except maybe for Flint), groundwater is rapidly depleting across the United States, and therefore, drought looms ever and ever larger. Nestlé's annual sales of bottled water alone total roughly CHF 10 billion ($10.05 billion).